Earth Day gardening party at the Densmore Pathway this Saturday, April 13, 2019 from 10am to 1pm. Meet at the Densmore entrance at N 188th. The Densmore Pathway is a city right-of-way in the Echo Lake Neighborhood. It runs between Densmore and Ashworth and would be N 188th if it were a real street. For years it was a neglected, overgrown jungle. People dumped garbage there. Some people slept there and some did drugs. 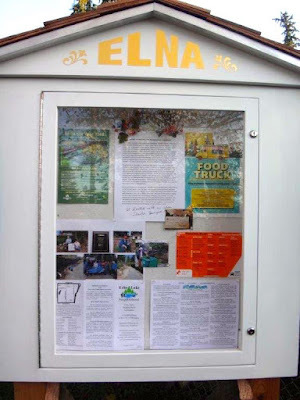 People with back yards along the right-of-way grew more and more uncomfortable with the situation and finally one stepped forward to do something about it. Once started, many neighbors came forward to help - including one who is a professional landscape designer. Today the Pathway is a beautiful path through the neighborhood. In 2017 ELNA added a decorative bench and plaques, also supported by a city mini-grant. 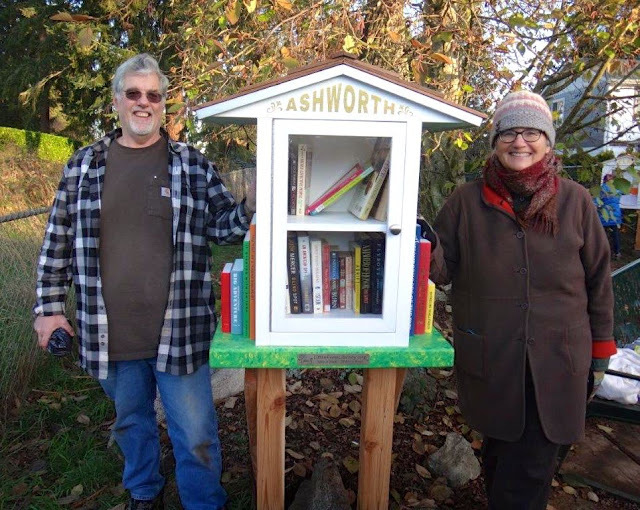 In 2018 Matt and Marla Tullio, partially funded by a city mini-grant, built and installed a Little Free Library and a bulletin board at the Ashworth entrance to the Pathway. Gardening events are held at least twice a year and volunteers are welcome, whether they live in Echo Lake or other locations. There will be an Earth Day gardening party at the Pathway this Saturday, April 13, 2019 from 10am to 1pm. Meet on the Densmore side. Join your neighbors for some weeding and adding new native shrubs along this award winning green space. Enjoy a nature treasure hunt for kids of all ages! Bring your favorite garden tools and work gloves - we’ll supply the cool water and warm tea along with some snacks. Pack a lunch and bring any used books for sharing at our new Little Free Library too!